It’s so strange for our weekend to be over, while everyone back home still has a full day to enjoy. We’re still getting used to the Sunday – Thursday work week, Friday/Saturday weekend — this weekend made even longer by the Eid Mubarak holiday that had Tony off work both Wednesday and Thursday. Long weekend are typically always welcome and enjoyable, and while this one certainly was, it was also a bit of a challenge as we’re still stuck in our hotel room without a lot of entertainment options close by. I spent a lot of time on Wednesday and Thursday mapping out a “shopping list” for our big purchases for the apartment. While its not a done deal yet, we’re proceeding as if everything will go through so that if we receive word this week that everything is a “go” we can move quickly. Visually setting up an apartment from start to finish was really fun! I want the entire apartment to look cohesive and coordinate, without being matchy-matchy. It’s not a large place — about 1300 sq. 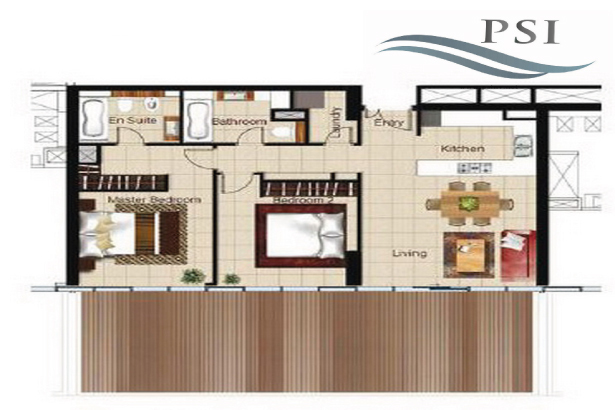 ft. covering a kitchen, living room, 2 bedrooms and 2.5 baths. With the list of items I’d chosen, we decided to drive to IKEA on Friday morning to see the items in person and make sure they were what we were expecting/wanting. I’m so glad we went. We ended up changing several items — the color of the couch I originally chose looked cheap in person so we chose something else. As much as we love the original bed, we decided to go with something that had more storage options instead. We left IKEA with a much better picture of what we wanted/needed in our apartment furnishings, and whether we would be able to get everything at IKEA. Now we just wait for the go ahead to move forward from the powers that be — I can’t wait to get in to an apartment! The hotel we are in is very nice, but all three of us in one room is getting annoying and boring! I want to feel like we can settle in, really feel like we live here, and start making connections in our new community. Soon, I hope. We are struggling a little when it comes to Matteo’s food choices. He is very picky — he loves fish sticks, but only HIS brand of fish sticks. 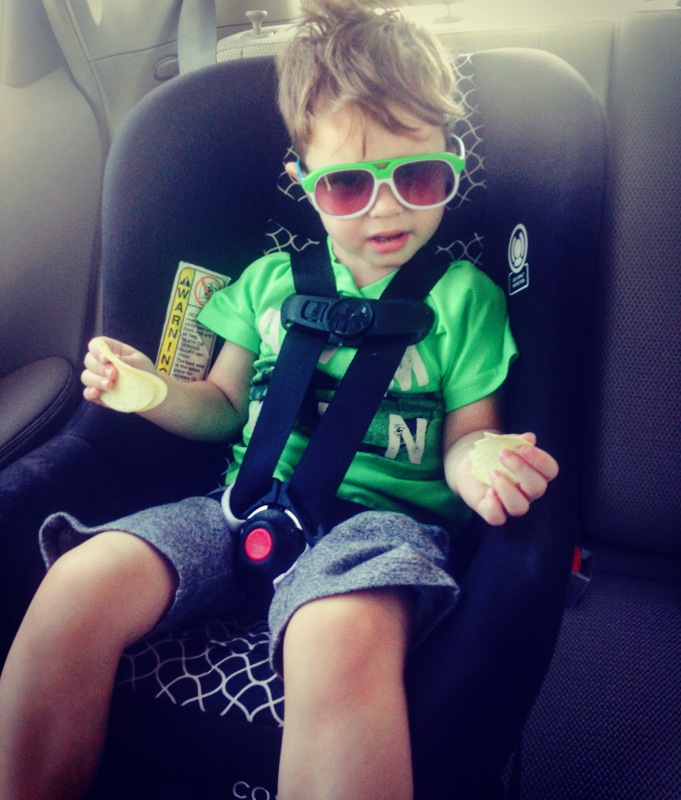 He loves peanut butter and jelly — but only the Smucker’s Uncrustables kind. Same thing with hot dogs (Jennie O turkey dogs), cereal bars, lara bars, etc. Thankfully, he’s always been a good fruit eater and fruit looks the same everywhere so he’s eating lots of strawberries, apples, and bananas. We have a mini fridge in the hotel but no microwave, so the rest of his food choices have been limited to cereal bars, pretzels with nutella, crackers with peanut butter, and chicken nuggets from either McDonalds or Wendy’s. FRUSTRATING! It will be nice to have a kitchen at my disposal and be able to prepare hot food choices for him myself. No mater what, he’s going to have to broaden his food choices as what he liked to eat in the US isn’t necessarily available to us here in Abu Dhabi. Speaking of Abu Dhabi, we’re pretty sure Matteo thinks “Abu Dhabi” refers to shopping. Obviously we’ve talked about moving to Abu Dhabi a lot over the past few months as we’ve tried to prepare him for the move. Several times as we were running errands this weekend, he would ask to go to a “different Abu Dhabi” meaning a different store. Clever kid — as shopping is a national past time here, he’s not that far off base. He also told us he loved Abu Dhabi which warmed my heart. Before the move, I was terrified that he would ask to go home once we arrived, but thankfully he hasn’t. He has enough of his “stuff” here, and Tony and I together with him that he’s adjusting well and isn’t displaying the homesickness I feared (not yet, at least). Lastly, we made sure Matteo had some fun this weekend. We spent some time at an arcade where he and Tony won over 500 tickets — I should mention here that Tony is the new “high scorer” on two of the arcade basketball games at the Yas Mall (I’m so proud/embarassed). 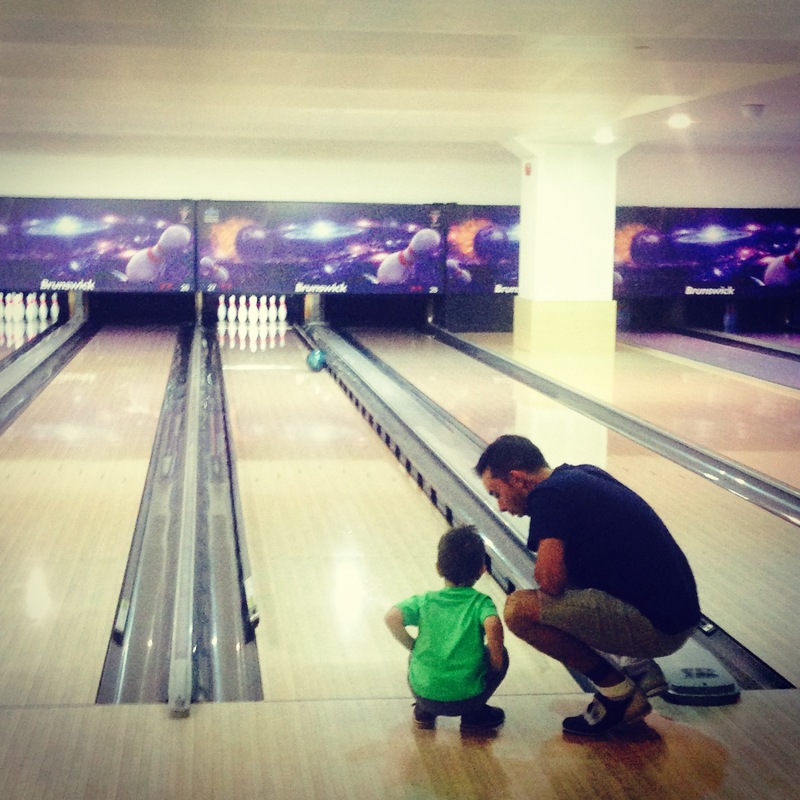 We also decided to go bowling at Abu Dhabi’s Marina Mall — I was just a spectator, but believe me when I say it was entertaining enough to watch Tony and Matteo bowl together. Matteo would lose interest in the ball right after he sent it, painfully slow, down the lane. He seemed to think that the point was just to drop the ball as loudly as possible, and couldn’t have cared less how many pins were knocked down. He very loudly cheered for Tony everytime he released the ball, “Yay! Daddy, you DID it!” It was hilarious and adorable. And led to a pretty good nap for Matteo, so thankyouverymuch. Now, we’re back to the regular week. Tony’s at work today, and Matteo and I are working on getting on a schedule ourselves, now that we have the days together, just the two of us. I’m so praying that we hear something on the apartment early this week — will share when we do. Jennifer, thanks for sharing. Fingers crossed on the apartment for all of you. Thanks Anne! The housing piece is stressful — can’t wait to share that we are in our place!